You can’t win unless you learn how to lose. I felt that a number of people might have questioned my loyalty, but I continue to be a patriotic American. The transition was difficult. It’s hard to stop something that you’ve enjoyed and that has been very rewarding. Michael Jordan and Magic and myself all learned how to play the game in college programs that emphasized the team. My most memorable moment came in 1985 as we beat the Boston Celtics. I didn’t really seek attention. I just wanted to play the game well and go home. I think the NBA players have to be held accountable in a reasonable way, just like any other professionals. I wanted to play baseball! I think black Americans expect too much from individual black Americans in terms of changing the status quo. I think the NBA will certainly survive without Michael Jordan. In athletics there’s always been a willingness to cheat if it looks like you’re not cheating. I think that’s just a quirk of human nature. I’m still my parent’s child, I’m still me, but I made a choice. I evolved into Kareem Abdul-Jabbar. I think it has to do with evolution. I have been coaching recently. I coached high school basketball in Arizona, and I hope that more opportunities become available. I think someone should explain to the child that it’s OK to make mistakes. That’s how we learn. When we compete, we make mistakes. The game has basically not changed since I ended my career. Kareem Abdul-Jabbar is a retired American professional basketball player who played 20 seasons in the National Basketball Association for the Milwaukee Bucks and Los Angeles Lakers. 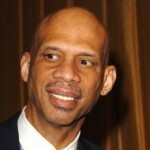 During his career as a center, Abdul-Jabbar was a record six-time NBA Most Valuable Player, a record 19-time NBA All-Star, a 15-time All-NBA selection, and an 11-time NBA All-Defensive Team member.